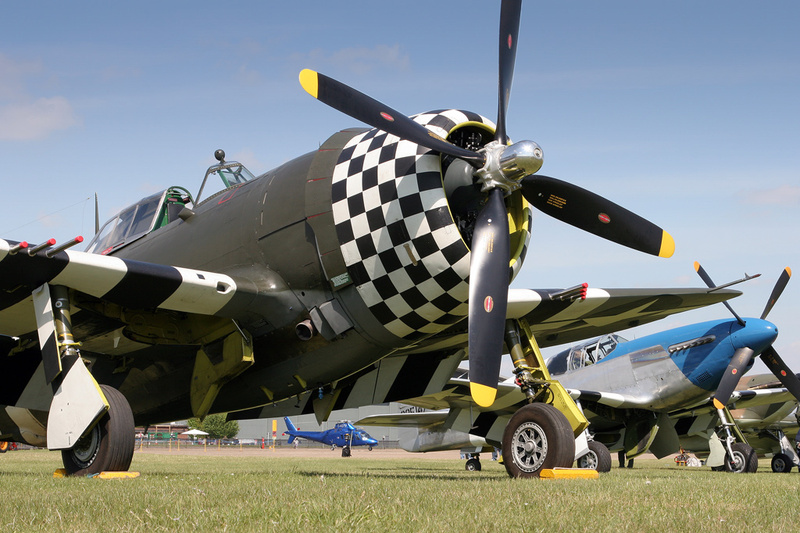 2013 was the year the sun finally decided to make an appearance for much of the British Airshow season, with stunning weather meaning sell-out crowds at most venues during the first half of the summer. 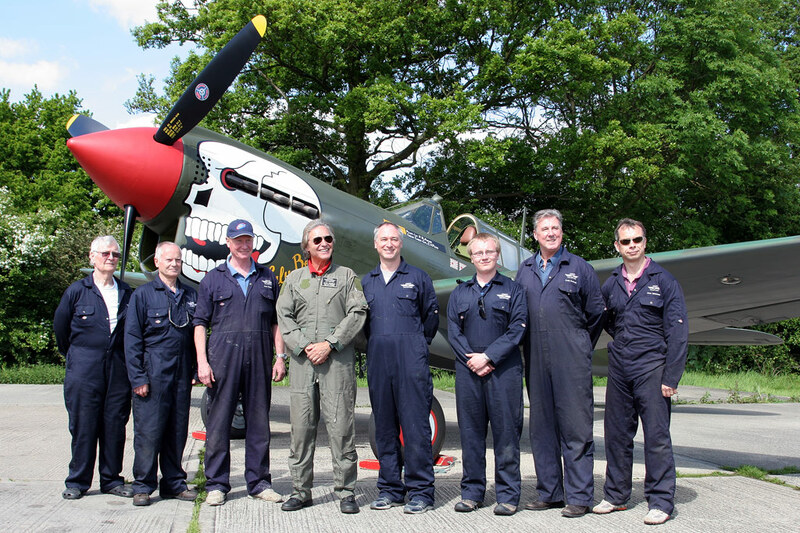 Along with the brilliant weather, the record high numbers of visitors we treated to a number of unique displays, new restorations, aircraft debuts and farewell tours. Some of the highlights that didn't quite manage to get into our Top 10 included a royal appearance at RAF Cosford as Prince Harry displayed the AAC Apache AH1 display, the debut of Estonia with their An-2 in the static display & L-39 in the flying display at Fairford and the return of the mighty Sea Vixen to the skies (fingers crossed she's booked by for more displays in 2014)! 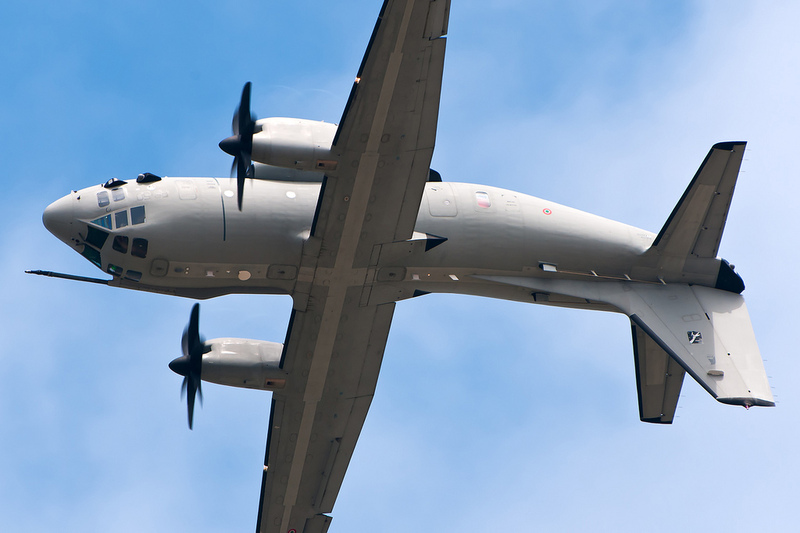 This year also saw the last airshow appearances from the iconic VC10 and Tristar, with the VC10 appearing on static display at Waddington, Yeovilton, Fairford & Leuchars before retirement in September and the Tristar completing a daily flypast at Fairford. 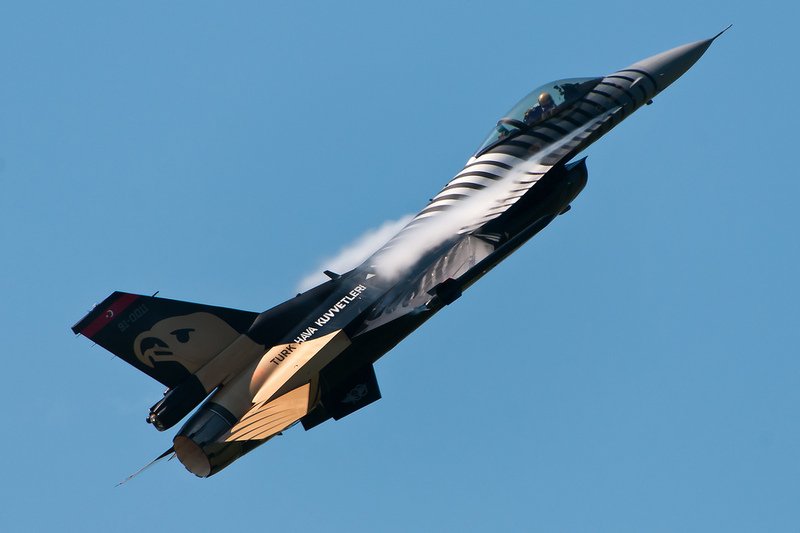 This year was not without its low points, the global trend of decreasing military participation in airshows continuing with sequestration in the United States making the biggest impact. 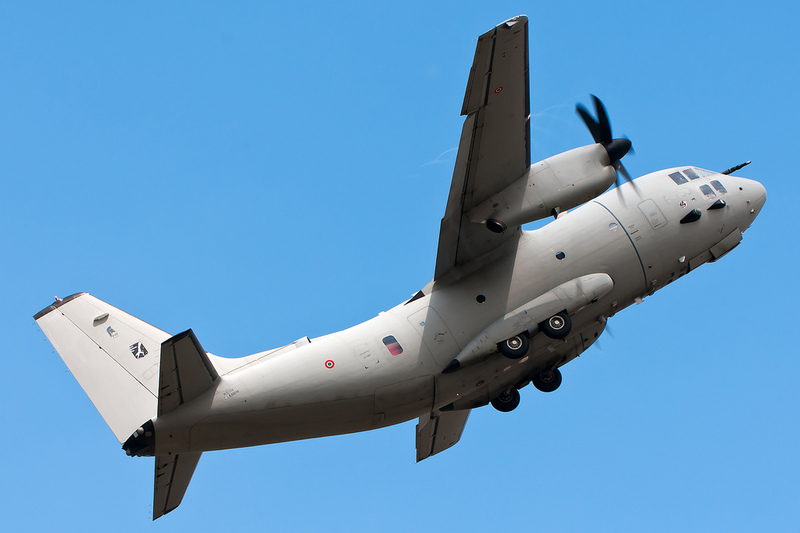 The absence of any US Military aircraft created noticeable gaps at the larger UK airshows, with the static display at Fairford this year taking the hardest blow. Flying displays from Vulcan XH558 seem to get progressively worse as she continues to perform, completing her sixth display season back in the air this year. With her retirement drawing ever closer (2015 is currently stated as the end) we can only hope for better displays from her in 2014. 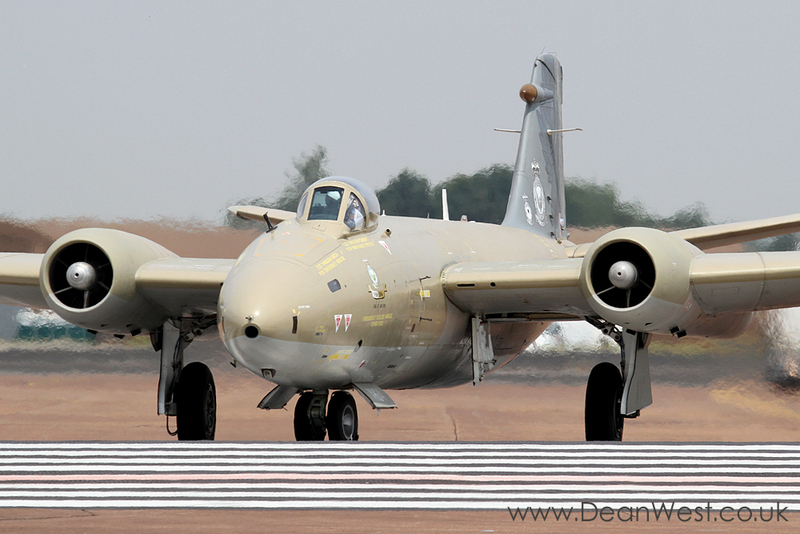 Sadly, RIAT this year was arguably one of the worst editions of the show in recent years, though our thoughts on this were covered in our full review. 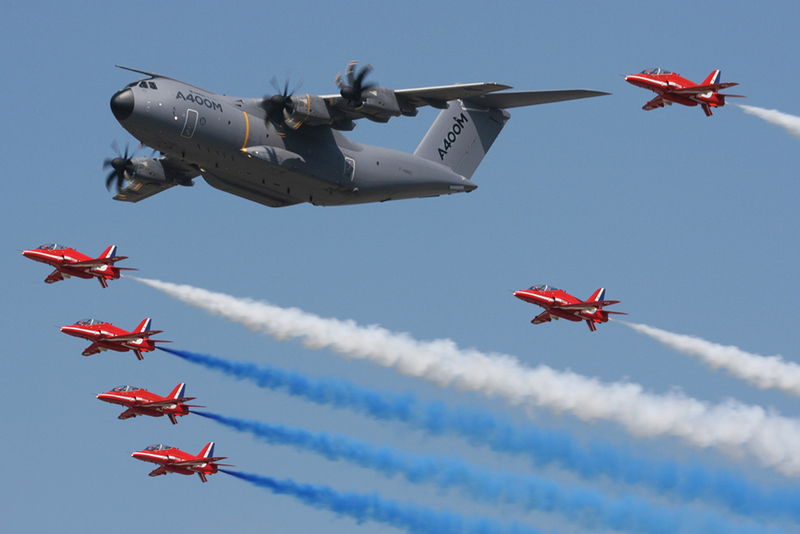 However, with a number of major anniversaries in 2014 - The Red Arrows' 50th, D-Day 70th & Great War 100th - we all live in hope that the weather gods are kind to the 2014 airshow season, and that the current positive participation rumours for next year come to fruition! 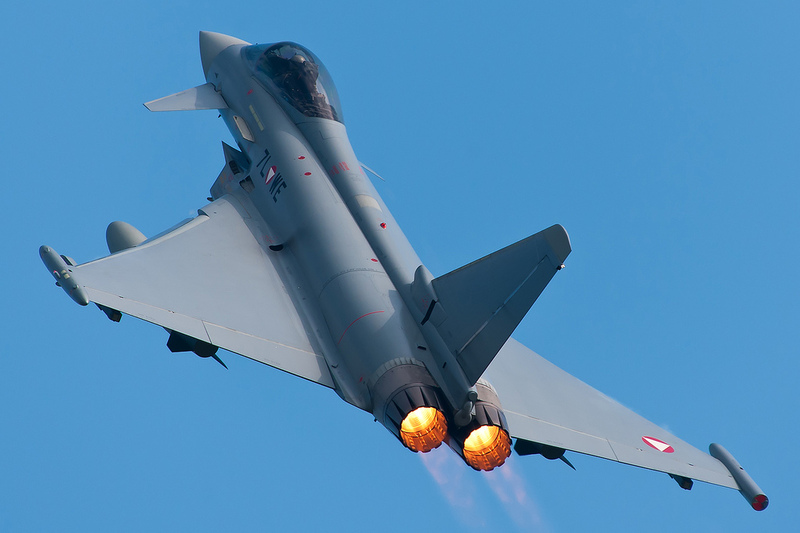 But for now, here are UK Airshow Review's Top 10 Airshow Moments of 2013! 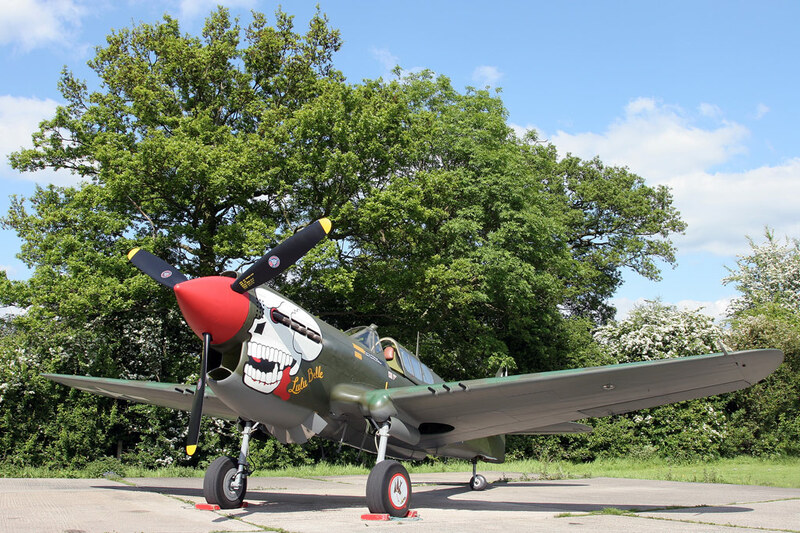 The Spitfire, Hurricane, Mustang and Kittyhawk that make up Peter Teichman's Hangar 11 Collection are no strangers to airshow goers up and down the UK, or indeed across Europe, such is this owner's enthusiasm for his aircraft and display flying. 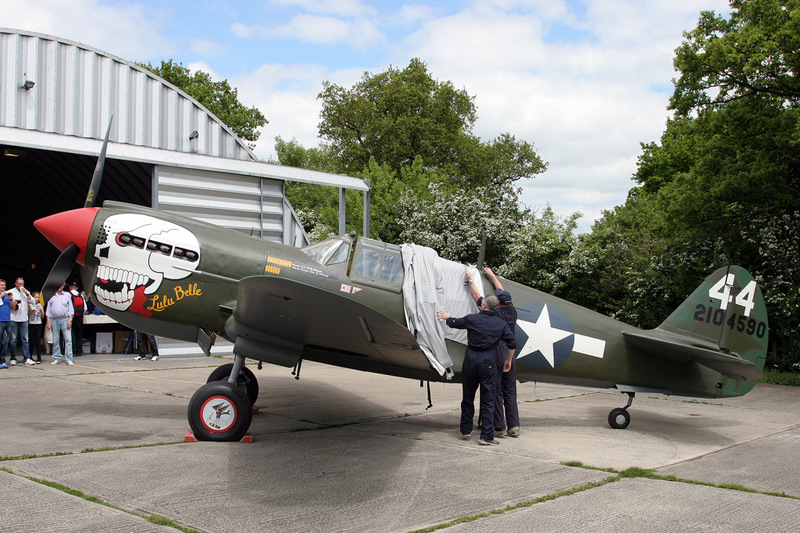 When the time came to reveal the new colours on the P-40M Kittyhawk from his stable, the good folk at North Weald's Hangar 11 made sure that "Lulu Belle" would be as instantly familiar to the airshow public in her new clothes as she has in previous liveries by offering an open invitation for enthusiasts and fans to attend the official unveiling. 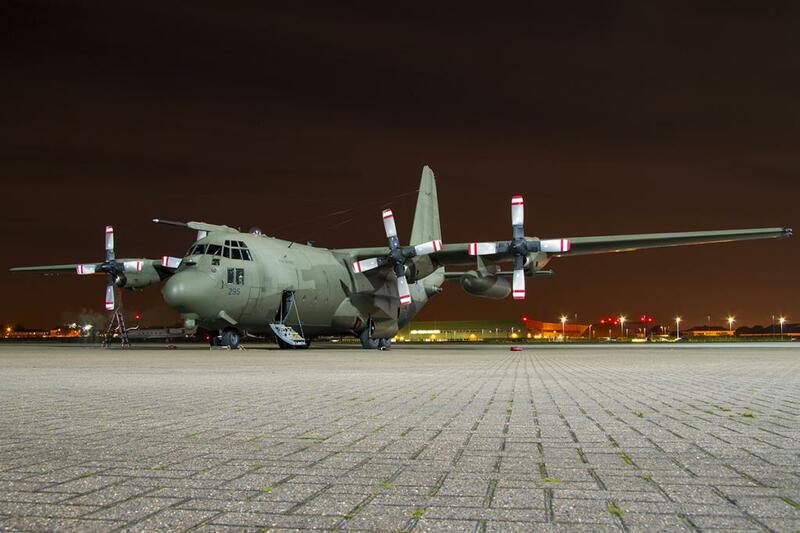 The mighty C-130K Hercules was one of many RAF transport aircraft to retire from service in 2013, and its last public appearance was at the RAF Northolt Nightshoot in October. 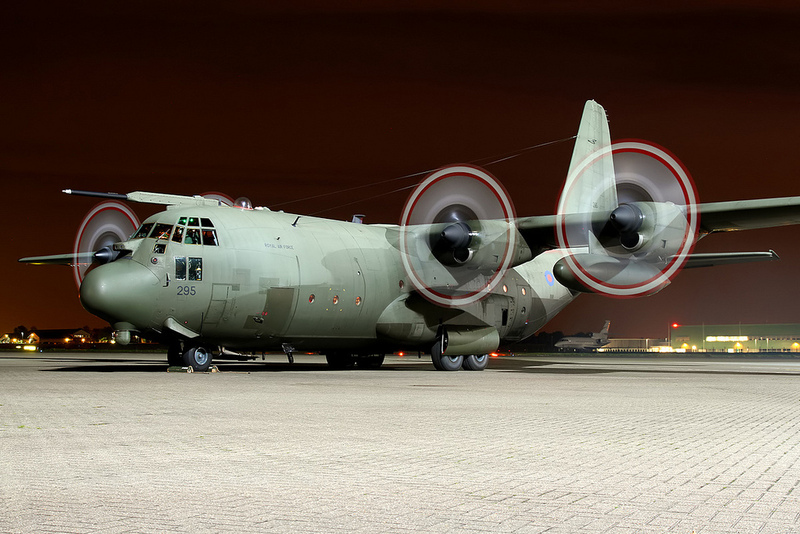 The crew from 47 Squadron kindly fired the aircraft up for a static engine run, giving the assembled photographers the chance to capture some stunning images of the C-130K with the light illuminating the aircraft's iconic four-bladed propellers. 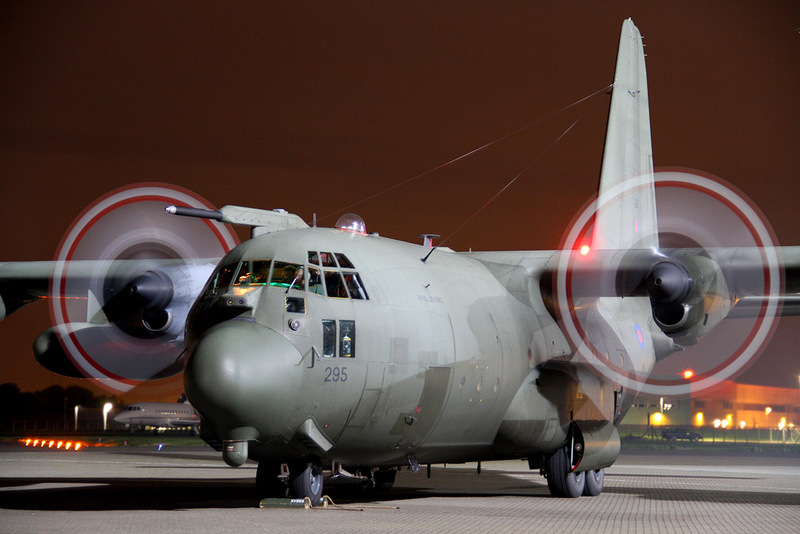 Just weeks after the event all the remaining C-130K aircraft had been flown into MOD St Athan for storage, pending a possible sale. 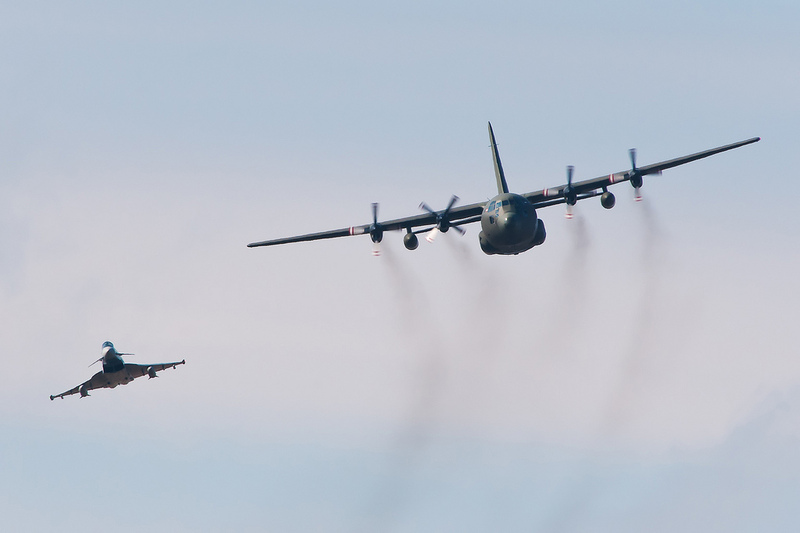 The sight and sound of those four engines generating a cloud of dirty exgust fumes will stay with those present for a long time and act as a brilliant farewell memory to the C-130K. 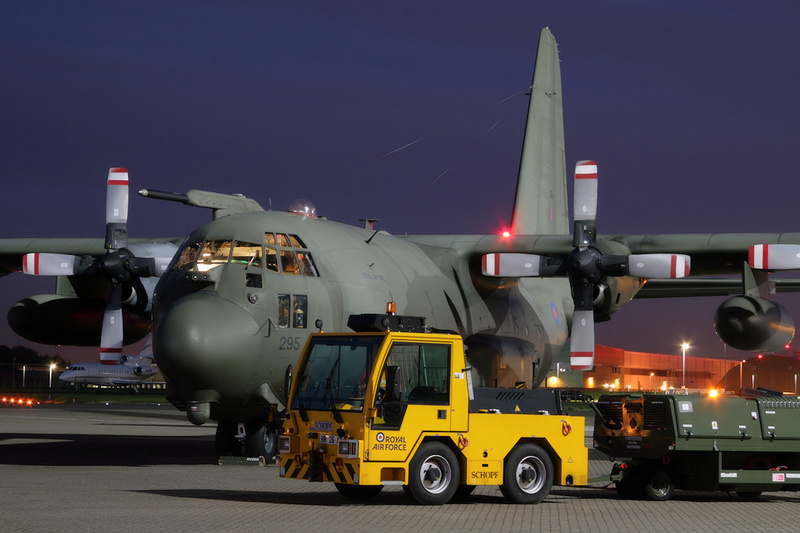 Although the nightshoots hosted at RAF Northolt aren't technically airshow events we felt this deserved a place in this years Top 10 as a mark of our appreciation to Phil and the team for their hard work for running the events, and for delivering where the mainstream airshow events failed by saluting to this important type into retirement. 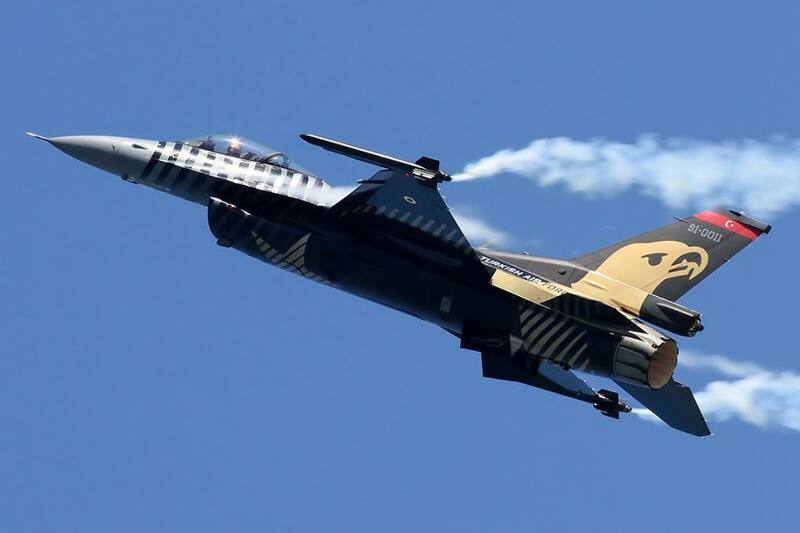 Making its sole UK performance in the blue skies over Lincolnshire in July was the Solo Türk display at the 2013 RAF Waddington International Airshow. 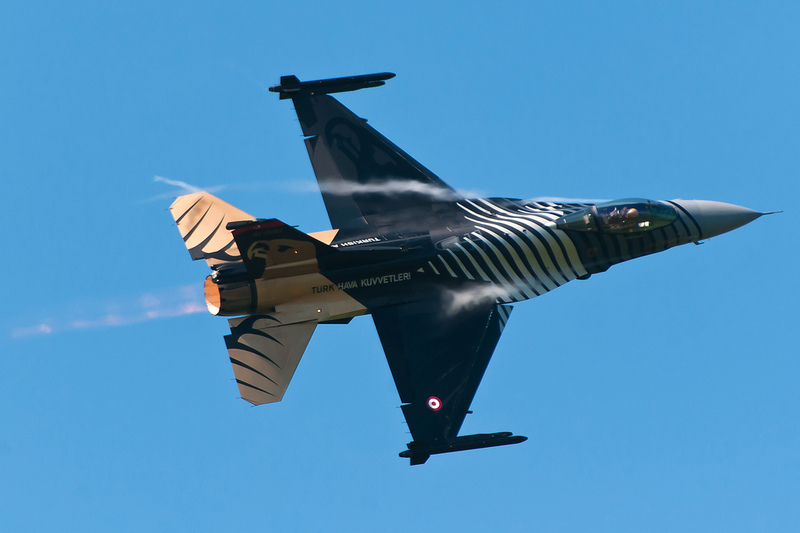 Flying a specially marked F-16C from 141 Filo at Ankara-Akinci, Captain S. Yalin Ahbab amazed the sizable audience at Waddington with a stunning routine which included a roll directly after take-off. 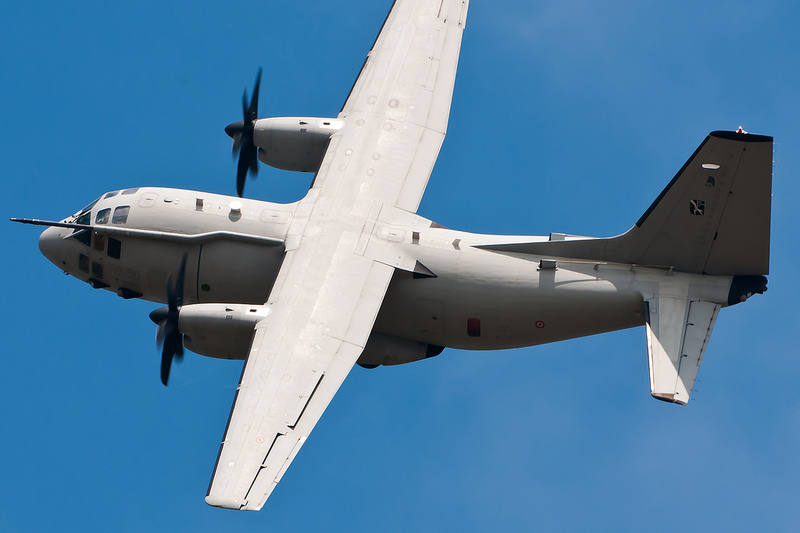 Making its second appearance in our Top 10 Moments in three years is the Alenia C-27J of the Reparto Sperimentale Volo, displaying at RIAT 2013. 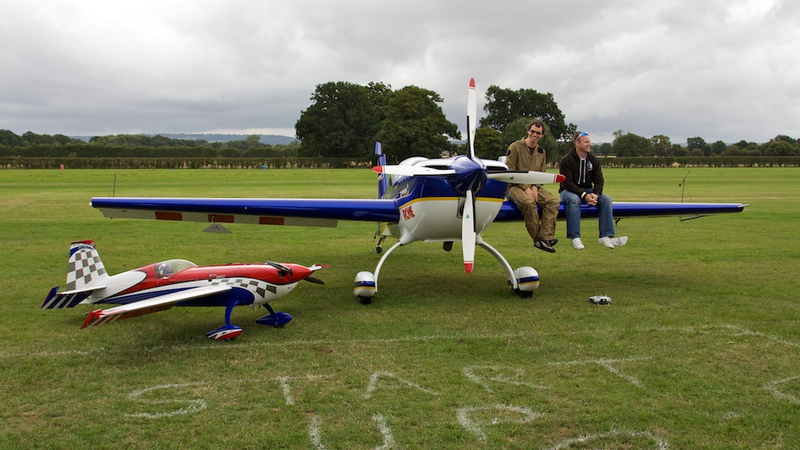 Due to low cloud the crew were unable to perform their full routine on the Saturday. 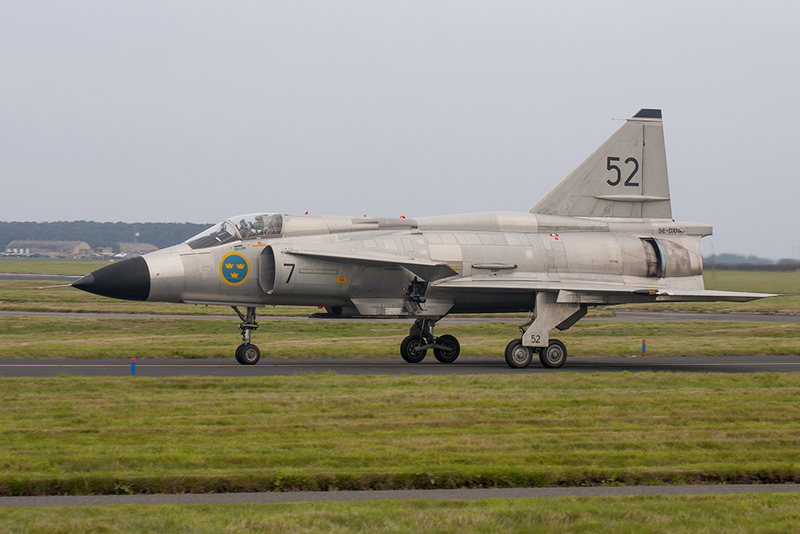 However, Sunday's weather was much improved and the aircraft performed no fewer than three rolls and two loops - more than what we'd seen at RIAT 2011. 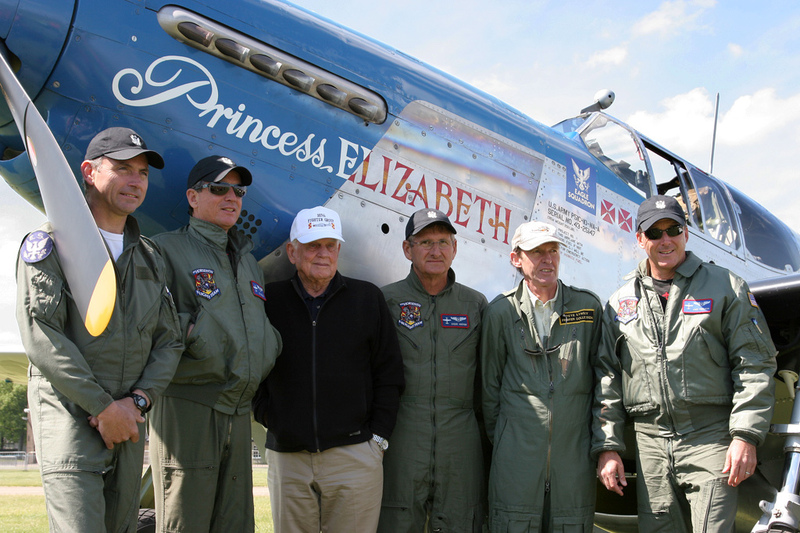 "After winning the "As the Crow Flies" trophy at RIAT 2013, being also included in the Top 10 Moments of the 2013 UK Airshow Season represents for my display crew another great achievement in England. 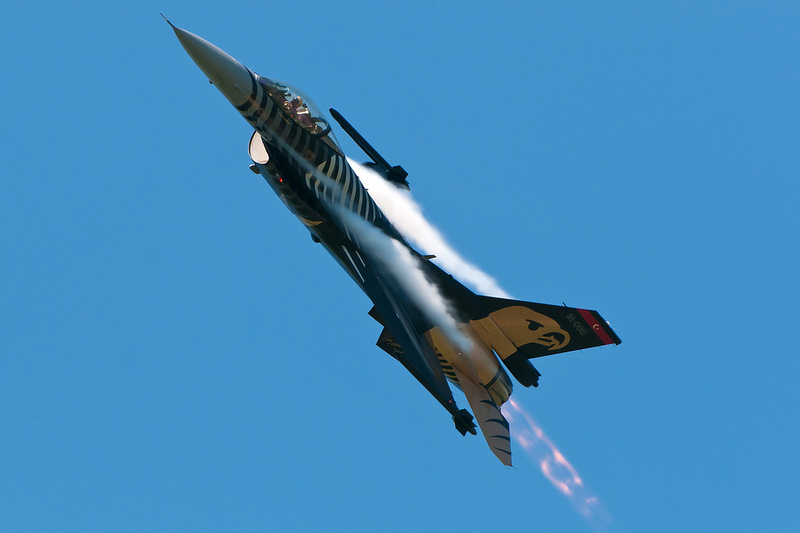 As "Spartan" Demo Pilot, performing the display profile in front of such an enthusiastic British crowd is always breathtaking and able to create strong emotions. 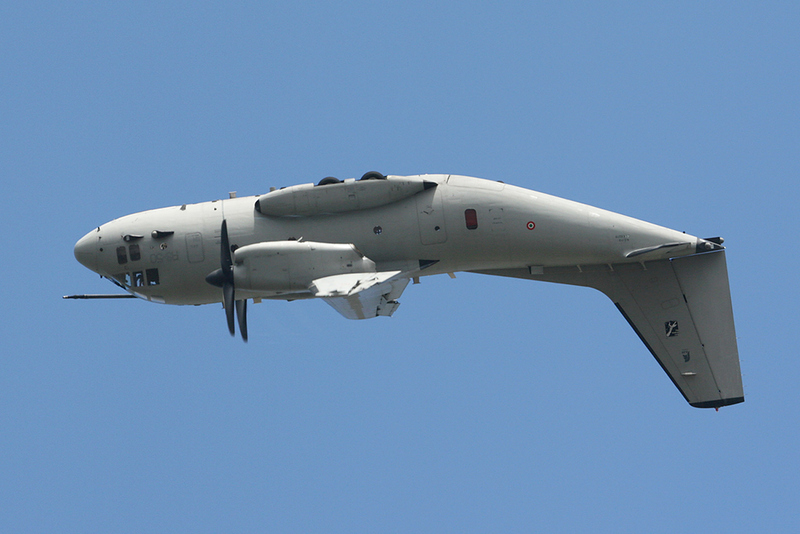 We always feel at home flying in the British skies over Fairford!" Little Gransden has a big reputation, and this year's list of flying participants boasted headline acts including the Vulcan, Spitfire, Hurricane, Lancaster, Mustang and modern RAF types too, so it's quite amazing to think that it was the Extra 300 - the vuvuzela of the airshow world - that provided the two stand-out performances from that particular show in August! The aircraft that grabbed your attention on paper didn't quite live up to their billing on the day, many of them failing to make the most of Gransden's unique layout, but no such criticism could be levelled at Mark Jefferies solo routine in the Extra 300, which was and always is a jaw dropping aerobatic display deserving of a wider audience, but it was the second Extra 300 performance that day that takes sixth place in our rankings. 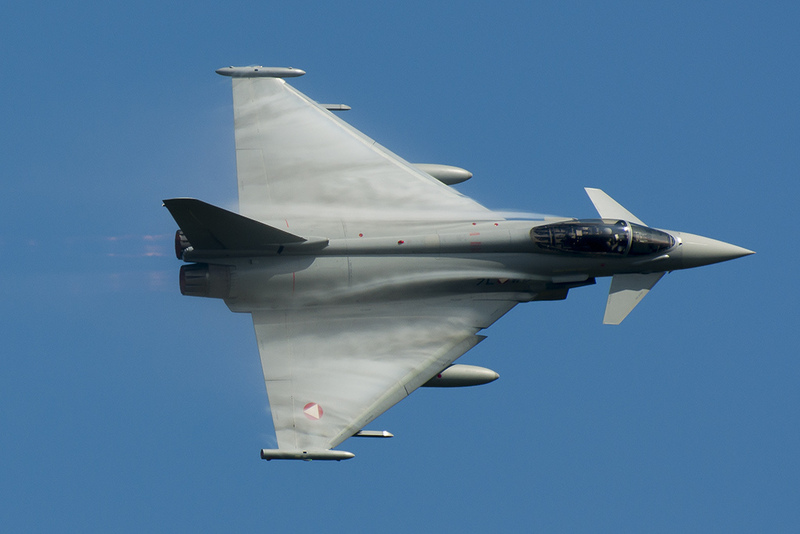 The 2013 season has been a strong one for the Eurofighter Typhoon, not only have we seen one of the best RAF displays yet but we also saw the UK debut of the Italian solo display at RIAT. These displays however were blown away by the Austrians. 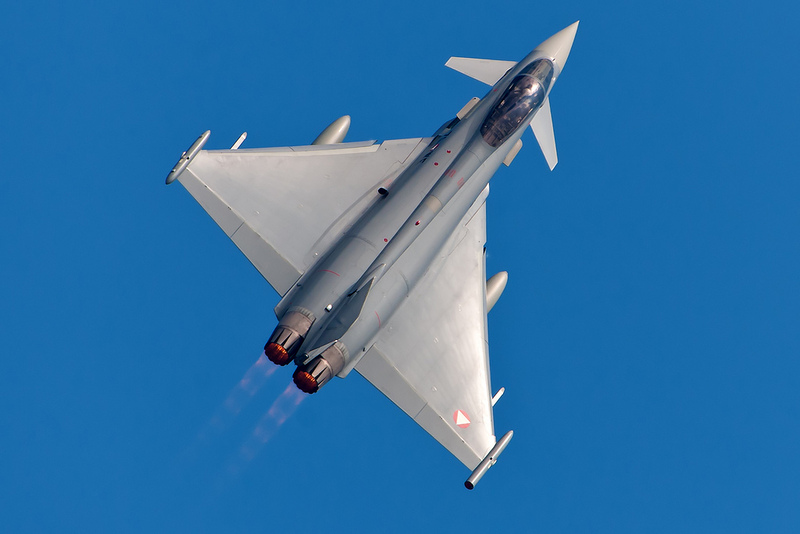 Whilst the display has been seen outside of Austria before, the 2013 RAF Leuchars Airshow was the first time that Austria have deployed their Typhoons alongside an ex-RAF C-130K to foreign soil. 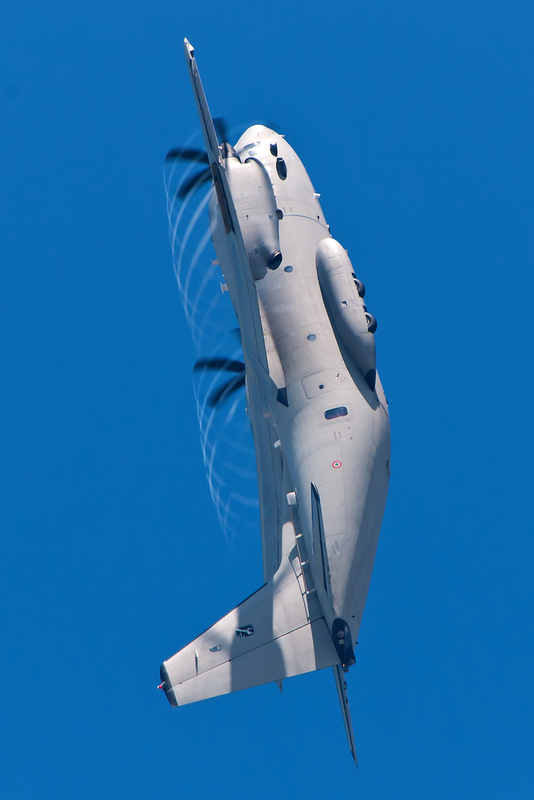 In a unique set-up the display began with a pair of Typhoons scrambling to intercept a rogue aircraft (played by the C-130) and forcing it to land. 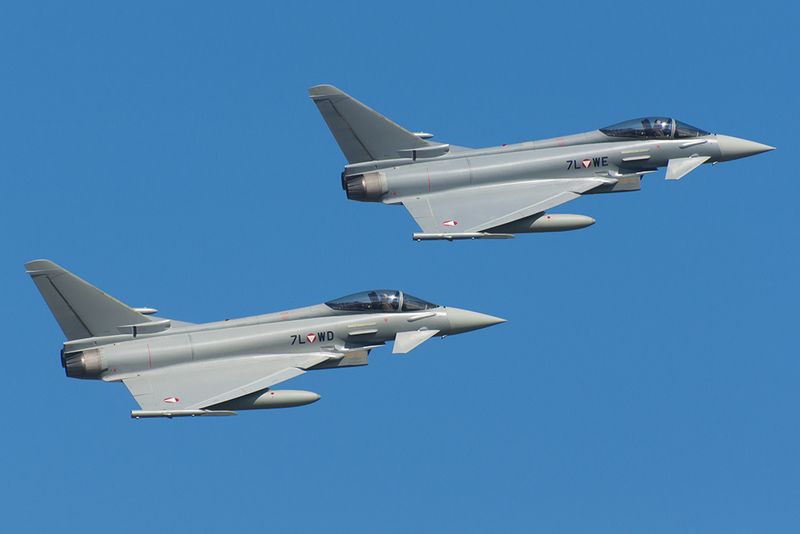 The demonstration then switched to a DACT display where the pair of Typhoons proceeded to dogfight with each other along the crowd line. 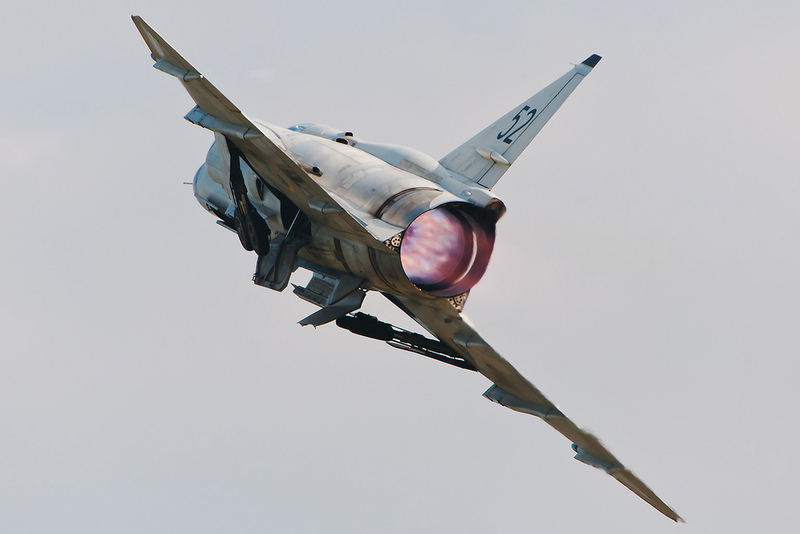 The pair of aircraft pulled a large number of high energy and low speed turns including a manoeuvre that looked awfully like a Cobra of Russian fame! 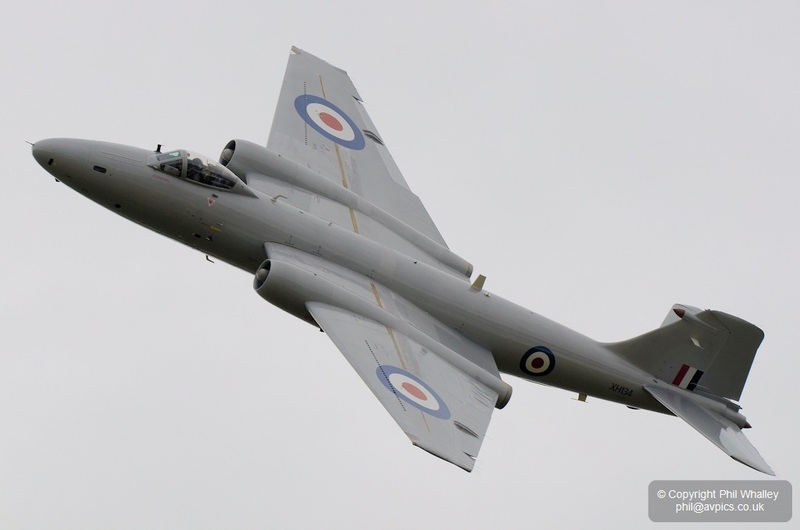 One of the most exciting additions to the UK classic jet scene in recent years is the return of an English Electric Canberra to the skies, in the form of Canberra PR9 XH134. 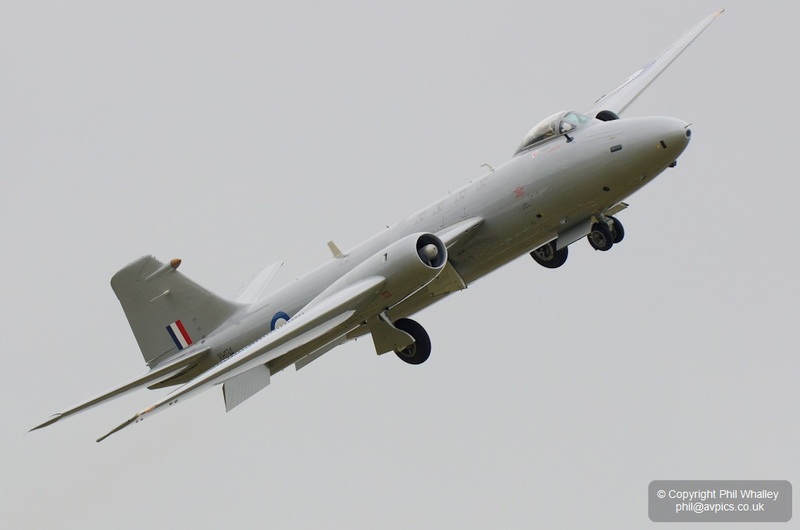 The aircraft's public debut came in some style too, with the aircraft completing her maiden post-restoration flight on Friday 19th July before arriving at RAF Fairford late in the evening to become one of the stars of the static display. 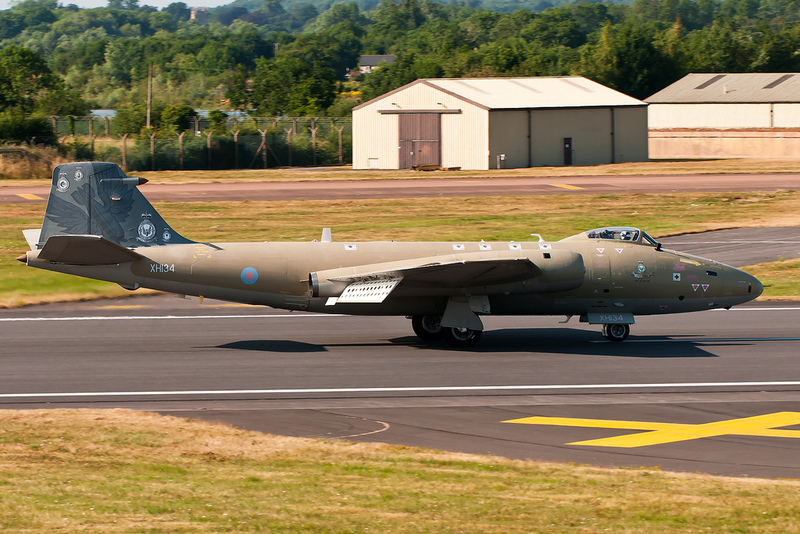 She appeared at RIAT in her original 39 Squadron retirement markings from 2006, however these markings were short-lived as before her public flying debut (at the Goodwood Revival) she was repainted to an all-over silver finish, the new corporate markings for 'The MidAir Squadron'. 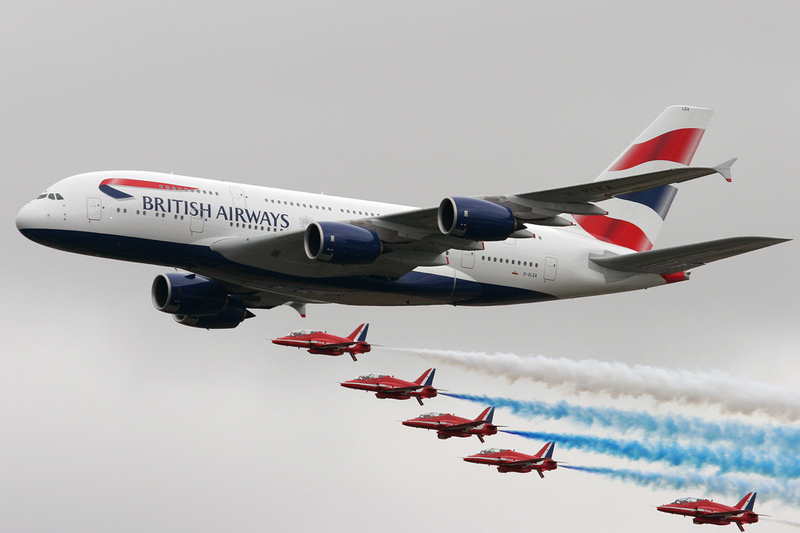 Following the tragedies of the 2011 season, the 2012 displays by the Red Arrows saw the team perform with seven aircraft rather than their trademark nine. 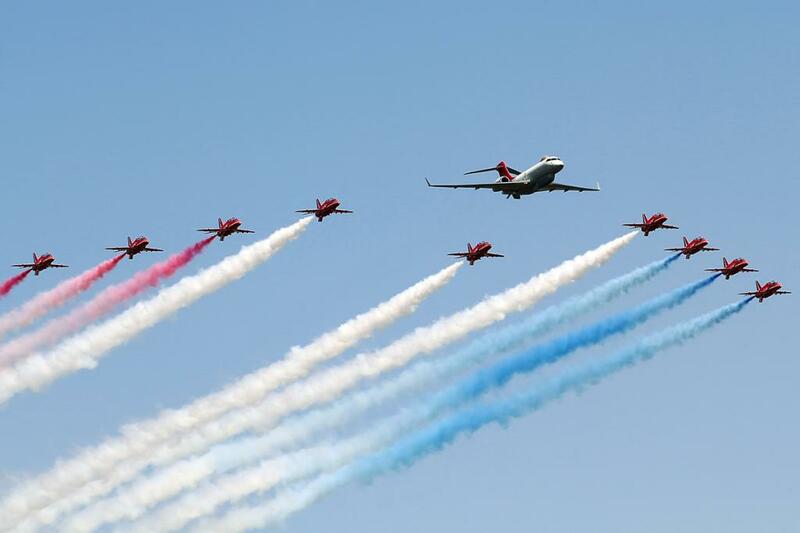 Happily for their 49th season in 2013, the Red Arrows returned to full strength. 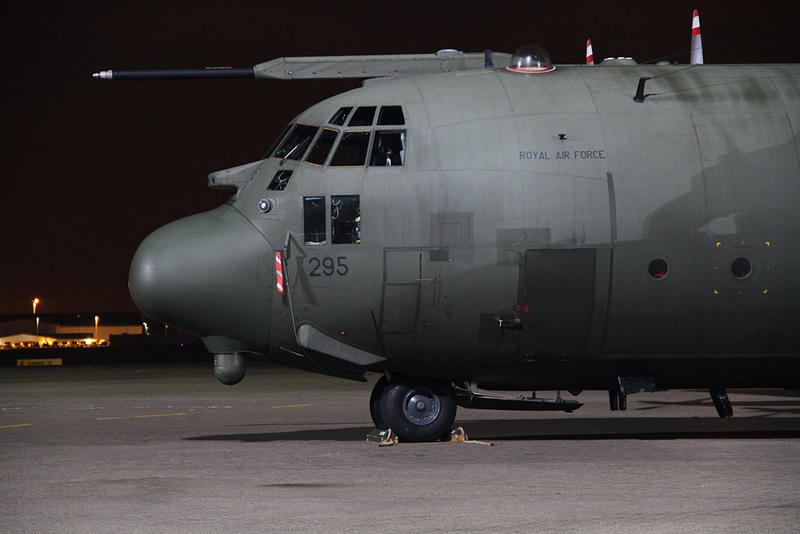 After a year away the team had to retrain on how to display with nine aircraft but their return was as polished as ever, stopping airshow crowds in their tracks and ending the season with a tour of the Middle East as ambassadors for the Royal Air Force and Great Britain. 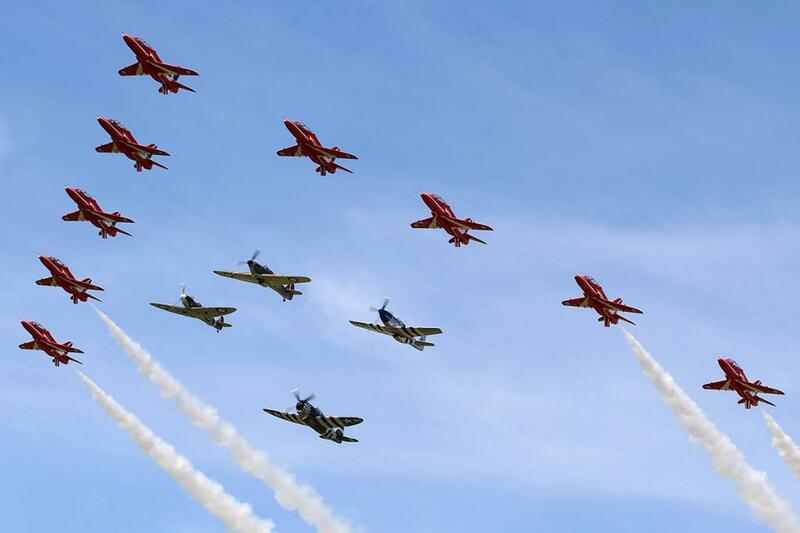 The 2013 season saw the team performing a significant number of mixed formations to mark a number of special occasions throughout the UK airshow season. 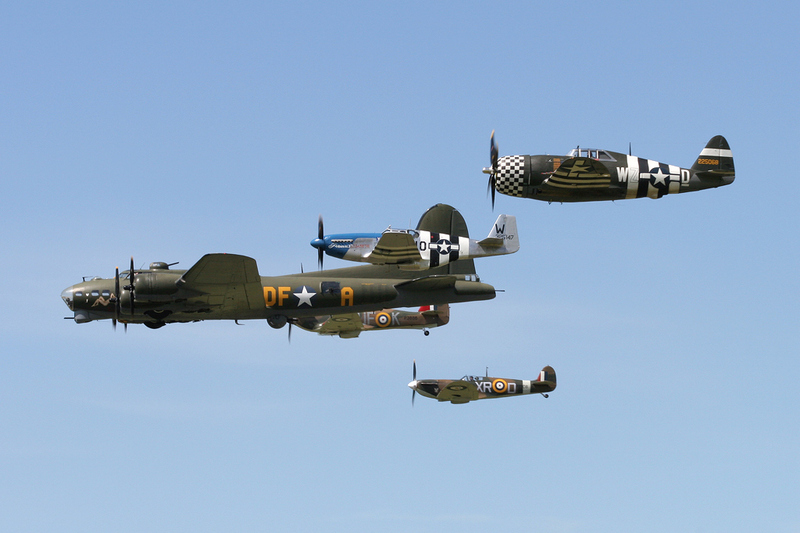 Kicking off at Duxford they flew in formation with the Eagle Squadron and soon after they displayed at Waddington in formation with a 5(AC)Squadron Sentinel to mark that unit's 100th anniversary. The action then quickly moved on to RIAT where we saw a different formation on each day of the show - Saturday's flypast conducted in formation with British Airways' newly delivered Airbus A380 in quite gloomy weather, whereas Sunday saw a superb flypast with the Airbus Military A400M Atlas in glorious weather - arguably the defining moments of RIAT 2013. 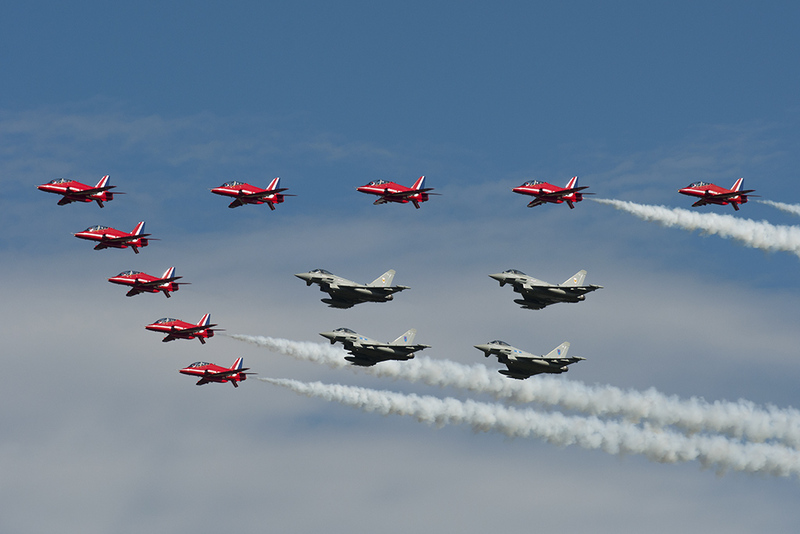 The Reds then ended their UK season with a special formation with four RAF Leuchars-based Typhoons at the final airshow to be held at the Fife station before it closes. 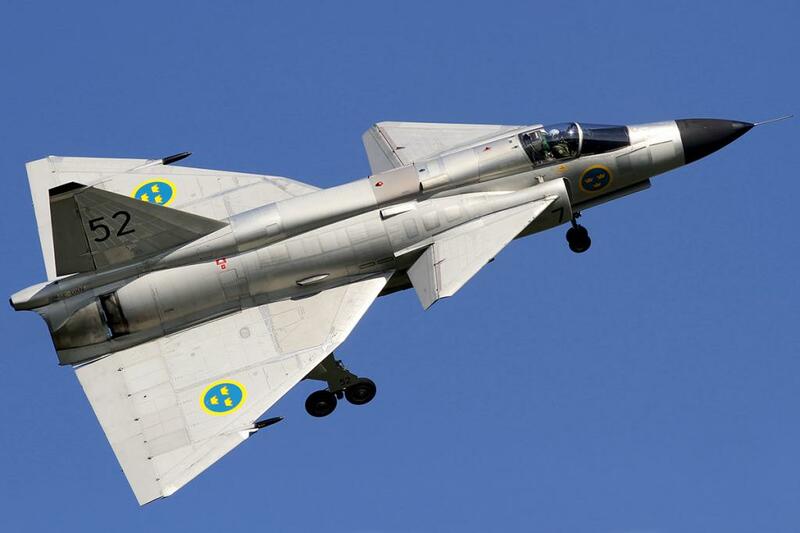 After 2012's appearance at Jersey, the Swedish Historic Flight's AJS-37 Viggen became the realistic possibility that most - including myself - never expected to witness! 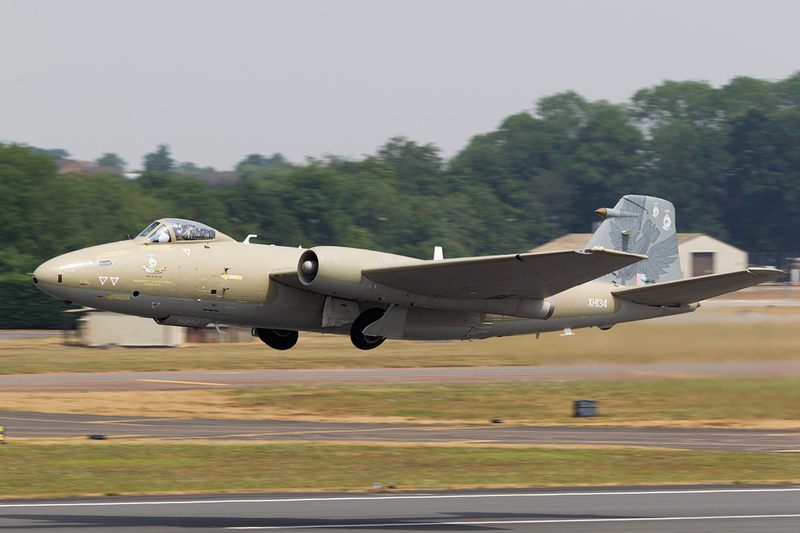 It wasn't long until Leuchars and Jersey confirmed participation, followed by Waddington although the initially expected Yeovilton and RIAT appearances did fall through. 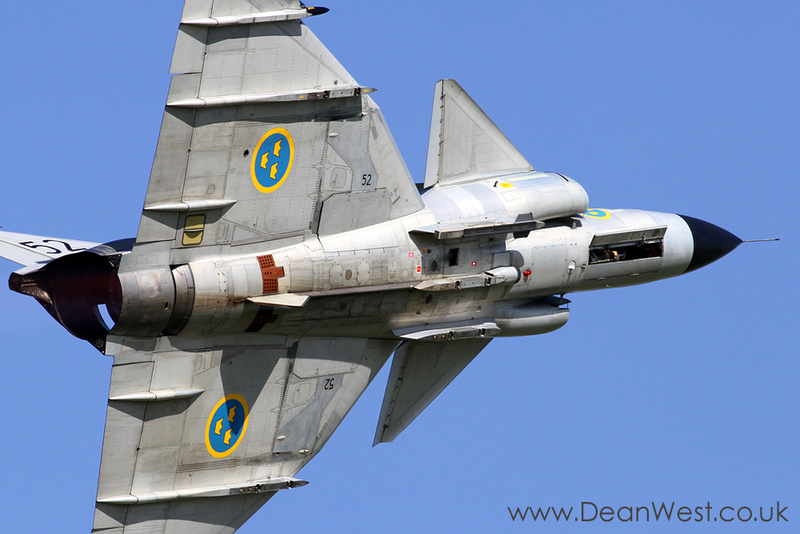 For many of those who had witnessed in-service Viggen displays the routine was very tame in comparison but the sight and sound of this venerable Swedish classic in the air was enough to have it in our top moments of 2013! 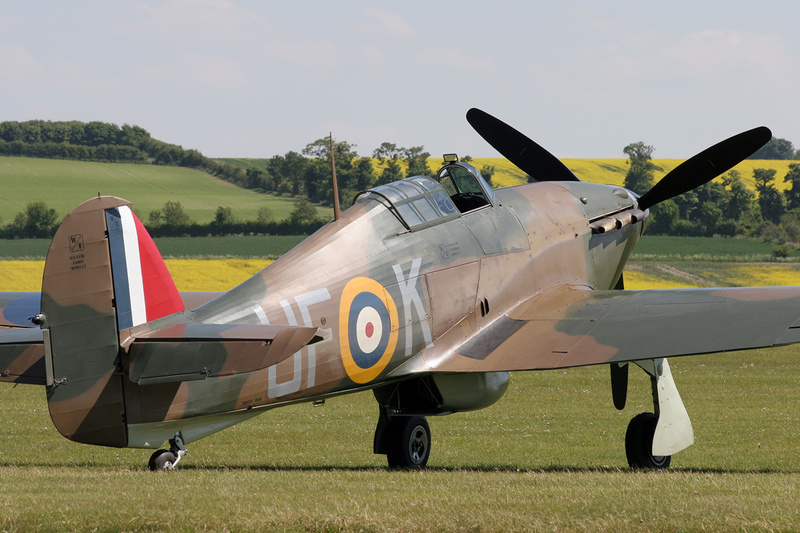 Airshow themes are often quite flimsy things, booking familiar aircraft that can loosely be related or carrying them though with such little conviction so as to be barely noticeable. 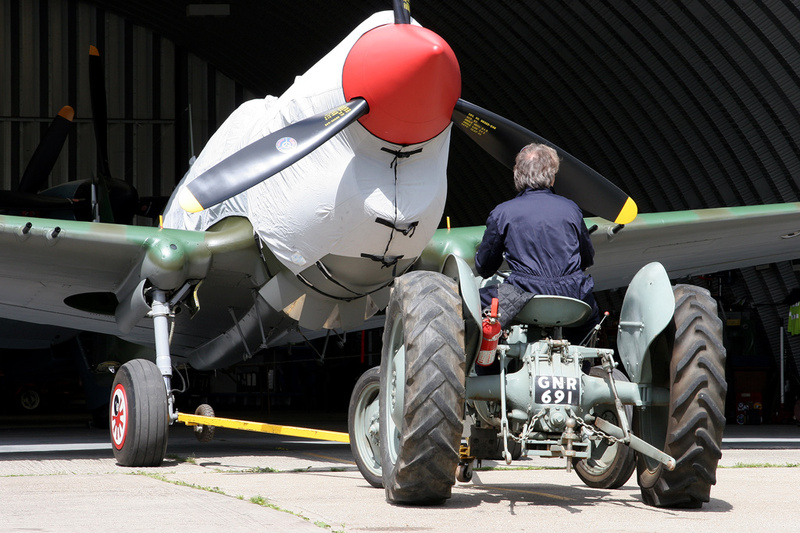 This wasn't true of Duxford's season opener in 2013. 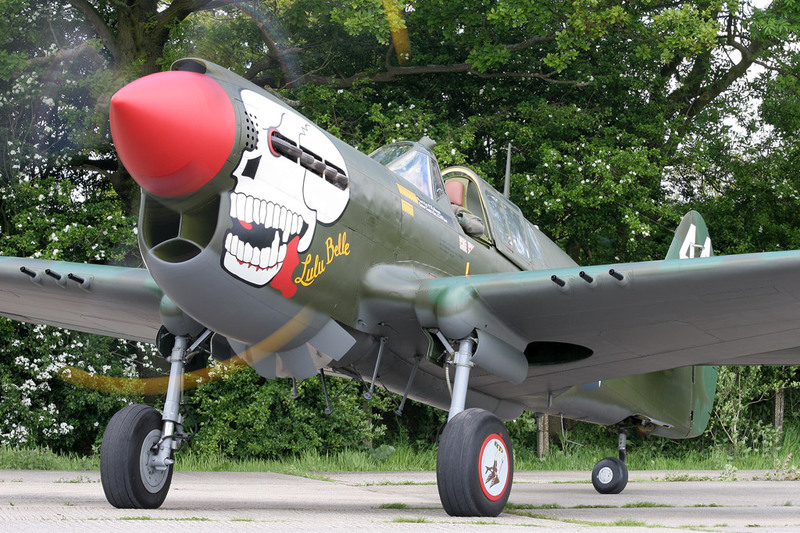 Not content with just using aircraft that were readily at their disposal, the organisers at Duxford joined forces with the Bremont Horsemen to devise a set piece that will live long in the memory, shipping a rare P-51C across from the United States and repainting two UK-based warbirds into meticulously researched schemes that were representative of pilots whose bravery and endeavour brilliantly told the story of the American Eagles and the role they played in the Second World War.